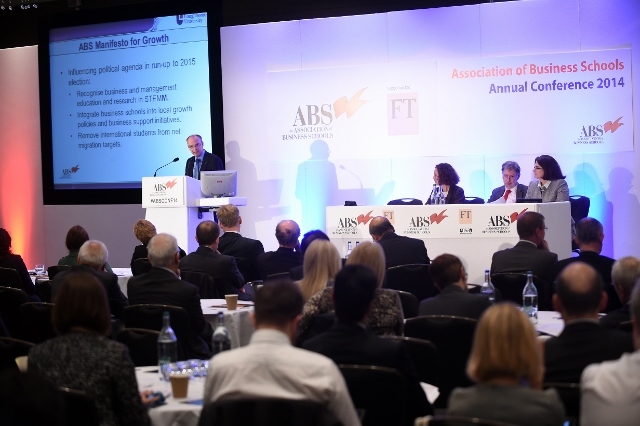 During our Annual Conference in November, we held a live ‘Wisdom of the crowds’ survey with our 180 delegates and gained key insights to the key priorities and concerns of the business school community. 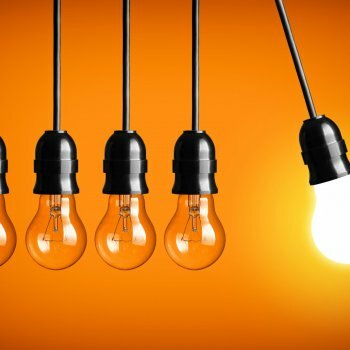 Today, we share our results from the multiple choice survey. 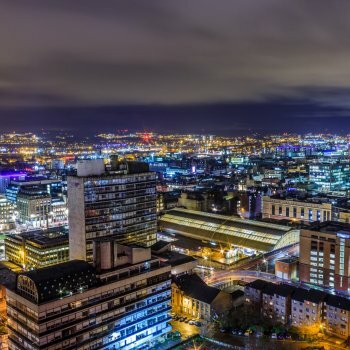 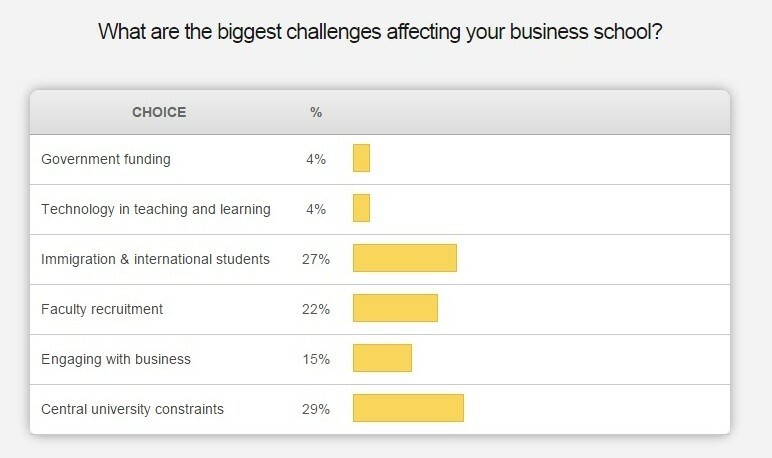 Business schools found central university constraints and student immigration as some of the biggest challenges within the current higher education climate. 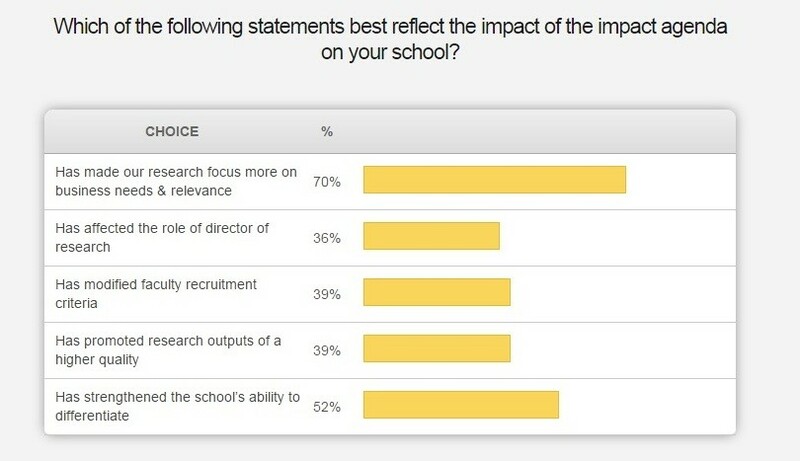 A majority of respondents agreed the impact agenda had made their research more business focused and strengthened their school’s ability to differentiate. 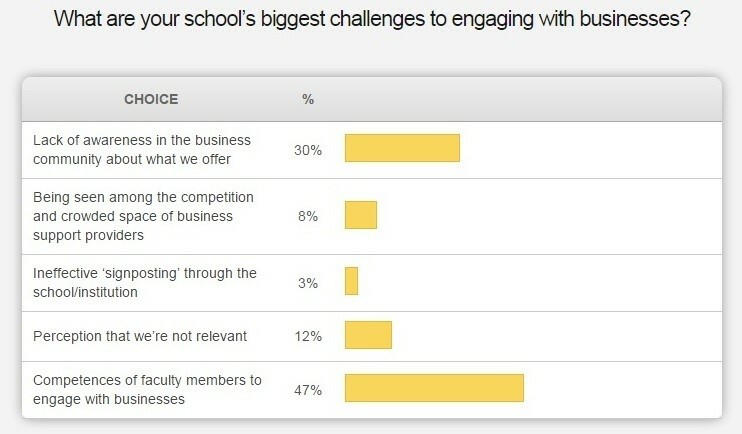 47% of those surveyed suggested faculty competences were essential to effective business engagement. 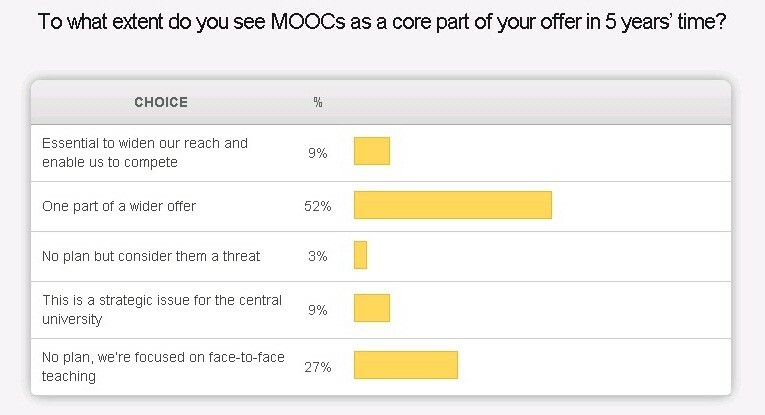 Over half of respondents saw MOOCs as one part of a wider programme offering. 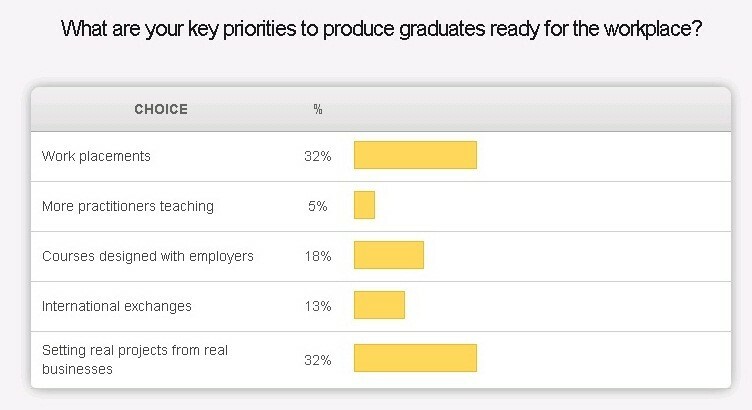 Nearly a third of respondents said work placements and setting real projects were key to ensuring students are ready for the workplace. 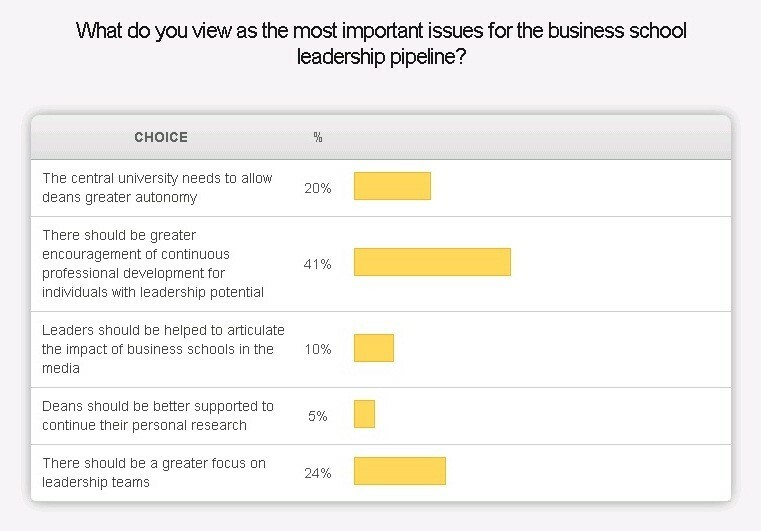 The audience agreed that continuous professional development is a priority for developing the future business school leaders. 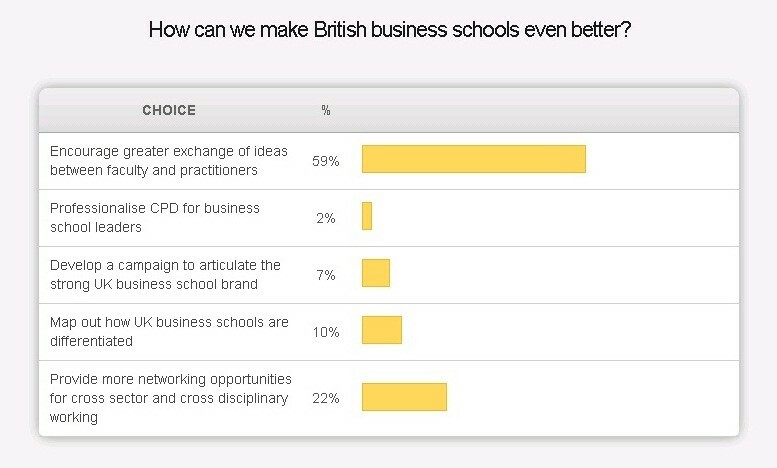 Over half of respondents felt that there should be better exchange of ideas between the faculty and business practitioners to improve the business school sector as a whole.